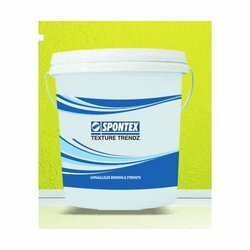 Having a definite quality management system, we are readily engrossed in bringing forth a comprehensive gamut of Spontex Texture Trendz Paints. The Stone Wall Texture offered by us is easy to install and requires negligible maintenance. resistance to abrasion and impact. IF Custoer Require Intermediate (i.e. MIO) .MIO (Micecinuoue Iron Oxide For Major the Structure Situated in Contact With Near Sea Contact.it Require High Corrosion Resistance Paint With Resistance to Corrosion . Before finish Coat Application we do Light Sanding with Emery Paper For adhesion Purpose. Catering to the demands of customers as a leading firm, we are engaged in providing our clients with a wide range of Scratch Finish Circular Effect Texture. 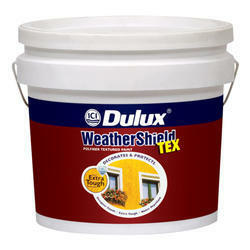 Owing to our vast experience in this domain we are highly engaged in offering Roller Coat Texture Wall Finish Paints. These paints are applied with special rollers for giving real look to walls, the offered wall finish paints are processed using supreme class ingredients as per the set quality norm at most suitable condition.